New York’s esteemed Columbia University will confer the degree of Doctor of Humane Letters on the legendary dance pioneer and social activist Arthur Mitchell this month, the Arthur Mitchell Project announced on Monday. 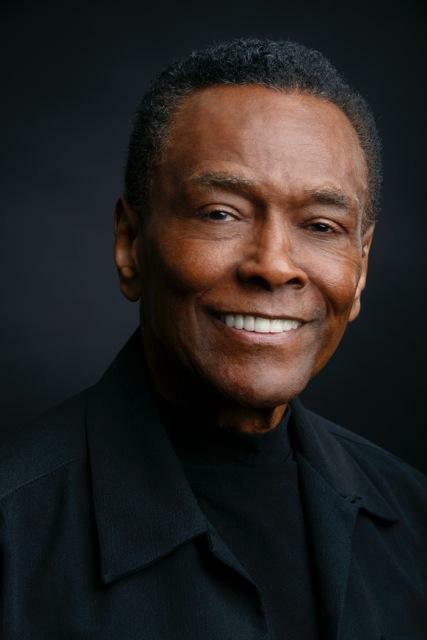 The honorary degree, which will be awarded during Commencement exercises on May 18, 2016, recognizes the trailblazing role Arthur Mitchell has played in diversifying classical dance. "I am very honored and very proud to receive this award from Columbia," said Mitchell. In its announcement of this distinguished recognition, Columbia University noted that Mitchell has been a seminal figure in the dance world for more than a half century. In 1955, the same year civil rights activist Rosa Parks refused to give up her seat to a white passenger on a bus in Montgomery, Alabama and fomented a national fight against segregation, Mitchell joined New York City Ballet and changed the face of ballet in America. In 1957, George Balanchine, co-founder of the New York City Ballet, would choreograph the radical pas de deux of Agon for Mitchell and his white dance partner, Diana Adams. It is thought to be the first interracial duet in American ballet. Balanchine would choreograph iconic roles especially for him in ballets such as Midsummer Night's Dream, Ivesiana and Slaughter on Tenth Avenue. Mitchell would remain the only African-American company member during his 15 years dancing with NYCB. Before making his debut with the New York City Ballet, Mitchell appeared on Broadway in House of Flowers, Truman Capote's first musical Noel Coward's Sweet Potato, and Kiss Me Kate. He also danced with the socially-minded African American choreographer Donald McKayle, the Anna Solow company, and made film and television appearances. Mitchell is a pivotal figure in the conversation on diversity in classical ballet, which he helped to galvanize. In 1969, he left full-time performing to co-found the Dance Theatre of Harlem with influential ballet master Karel Shook. The organization, which began as a school with 30 students and a company of two dancers in a garage on 152nd Street, was designed to offer children—especially those in Harlem—the opportunity to learn about dance. The company, which made its official debut on January 8, 1971 at the Guggenheim Museum in New York with three ballets choreographed by Mitchell, also performed several works by Balanchine and Jerome Robbins during its inaugural season. Over the years, Mitchell assembled an eclectic repertoire for his company ranging from Balanchine's neo-classical-styled dances to the Ballet Russe classics, as well as works commissioned from African-American choreographers including Louis Johnson, Alvin Ailey, Garth Fagan, Geoffrey Holder, Tally Beatty and Billy Wilson. During Mitchell's tenure as artistic director (he has been artistic director emeritus since 2009), the company was invited by President Nelson Mandela to visit South Africa, breaking the country's 30-year cultural ban. Dance Theatre of Harlem quickly grew into a multi-cultural institution and a dance company with an international reputation referred to by The New York Times as "one of the dance world's more visionary experiments." The award from Columbia confirms the relationship that has developed between the university and Mitchell over the past two years. In December 2014, Mitchell donated his archive to the Rare Books and Manuscript Library at Columbia University, just steps from the Harlem neighborhood where he was born. "Harlem and New York City are part of my life's blood," said the dance pioneer. The extraordinary trove of photographs, posters, programs, clippings, correspondence, early film and video tell the story of Mitchell's encounters with leading artists and politicians – from Igor Stravinsky, Josephine Baker and Alvin Ailey to Hillary and Bill Clinton, Mikhail Gorbachev, Nelson Mandela and others. The collection sheds new light on the history of American dance, the role of ballet in U.S. cultural diplomacy, and helps to document the social and political history of Harlem. "I believe that dance, and the arts more broadly, can be used as a catalyst for social change. 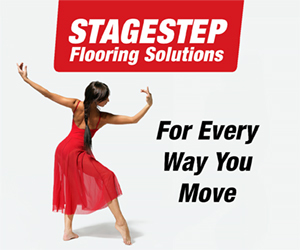 This is why I started the Dance Theatre of Harlem," said Mitchell. "With these materials now at Columbia, artifacts of American dance history and African American history will be accessible to young scholars, academics and the general public, furthering the push for change." The collection marks Columbia's first major dance archive. Last October, the Arthur Mitchell Project Symposium, held at the Barnard Department of Dance and the Rare Books and Manuscripts Library, proved to be a rousing success. The two-day event brought together Mitchell's former dance partners at the New York City Ballet, members of the Dance Theatre of Harlem's company and staff, scholars, critics and representatives of the Harlem arts organizations to reflect on Mitchell's legacy and the issue of diversity in the arts. In partnership with the university, Mitchell continues to develop performances and education programs focusing on diversity in dance through his most recent initiative, The Arthur Mitchell Project. The symposium set precedent for future shared programs between Columbia and Harlem organizations. Among the many awards received by Mitchell during his storied career are the Kennedy Center Honors, the U.S. National Medal of Arts, induction into the National Museum of Dance Hall of Fame, and the Heinz Award in the Arts and Humanities. Mitchell views his latest honor and the gift of his archives to Columbia University as a continuation of his work to expand the opportunities in art for young African-Americans. His hope is that access to the Arthur Mitchell Collection can be optimized so that more people can learn about the importance of diversity in the arts. Photo: Arthur Mitchell. Photo courtesy of The Arthur Mitchell Project.